After the club kicked off the 2016 spring season with an average of 25+ guys on the field for the first 3 games in February, the Cru were going to have tough road games during March. The team would face the Chiba champions, Urayasu Beers; Saitama champions, Toda Over-the-Top RFC; and Chiba’s No. 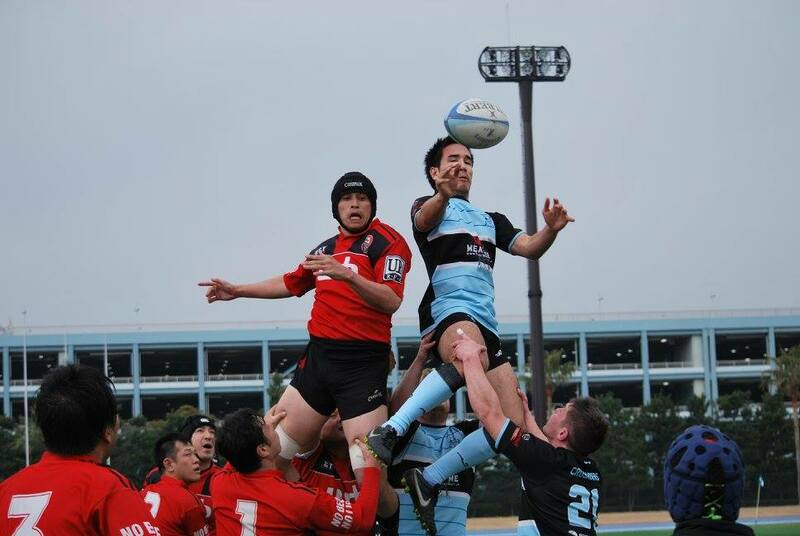 2, Matsudo RFC. All these would be very important fixtures to test ourselves before the Tokyo Cup in April. So game #1 for March, here we go. It was an early Sunday morning, meeting at 9am at Maihama Station, where the team saw many young girls who had come to visit Tokyo Disney Land. The stadium and sports complex of the city of Ichikawa, which is located next to TDL, are totally outstanding. On the approach to the ground, the team spotted about 30 of the Urayasu Beers players already doing warm-ups. As has become quite common now, many of the top clubs want to play against the Cru, for the opportunity to play physical rugby. The Beers were well prepared for the fight. They fought physically well in contact, stayed in Cru territory, and scored a few tries via driving maul from line-outs when they got inside the Cru’s 22m. Beers had scored 38 points by the half time. The Cru could not find a way to get inside their 22m: it was all about territory, 30/70 to the Beers, with possession at 40/60. The Beers made several changes, and their front five all looked like second rowers. Perhaps because the referee took a 10-minute break at half time for a suspected toilet stop, the Beers might have lost a bit of focus, and a well-rested Cru started to fight back. Game captain Rob Galbraith, Reece Morgan, and Matthew Foster often broke their defensive line, and made it less and less organized. Finally Foster nailed down a try by running over a few opposition players from their 10 meter line. Another try for the Cru was produced from a series of line breaks by Rob and Reece, then Takafumi finished, scoring his first try for the Cru in only his 2nd game for the club. The Cru continuously created opportunities, yet could not score another try because of small mistakes. The final score was 12-64, but as the second half scoreline (12-26) reflects, there was a marked improvement to our gameplay after the first forty minutes. This match was the last game for Laurant, who played 3 games for the Cru this spring while he was on an internship in Tokyo. Hopefully, we will see him back on another occasion. The initial aftermatch plan, crushing with girls at some restaurants around Disney park, was changed, as most of the places were full on the Sunday afternoon. 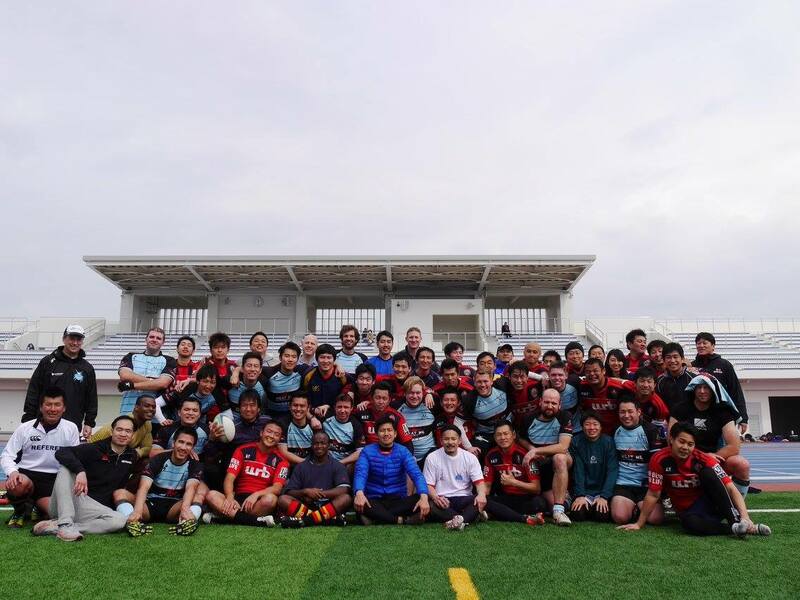 Instead, the after-match drinking took place in Shin-Urayasu in a quiet little Japanese restaurant, which certainly did not expect to be flooded by a hungry and thirsty rugby team. Finally, several guys went to Matsudo, for their favorite Ojisan bar afterwards.